Hi everyone! 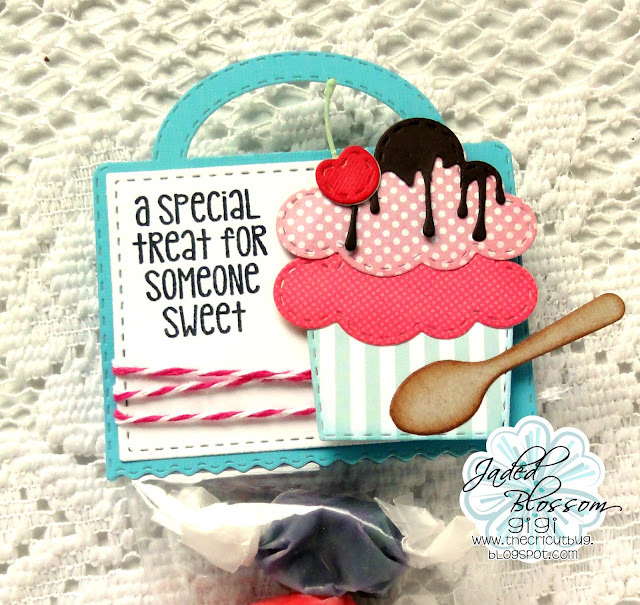 This is GiGi from The Cricut Bug and I am sharing this treat holder I made using my Jaded Blossom supplies. 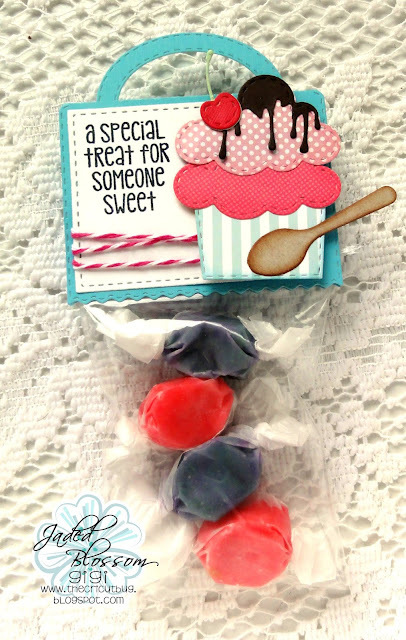 I started this project with the Ric Rac Topper Die and added it to a 3 X 4 Inch Clear Bag that I filled with candy. I created the ice cream sundae using several die sets. 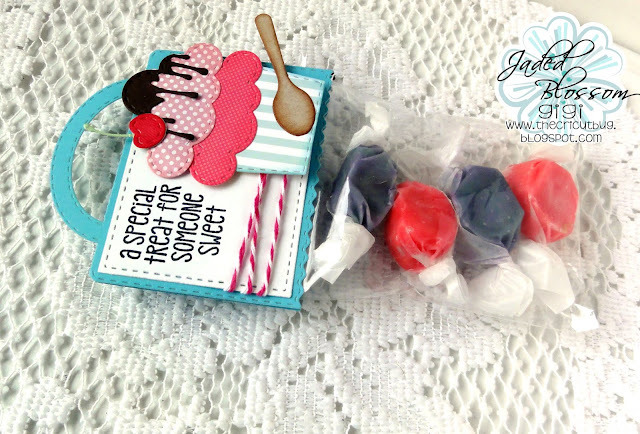 The wrapper is from the Coffee Dies and the ice cream layers and cherry are from the Birthday Dies. I gave it a chocolate topping cut with the Halloween Dies and added the spoon cut from the Baking Dies. To finish, I added some twine and stamped the sentiment from the Sweet Treats stamp set. Ooh, so cute! 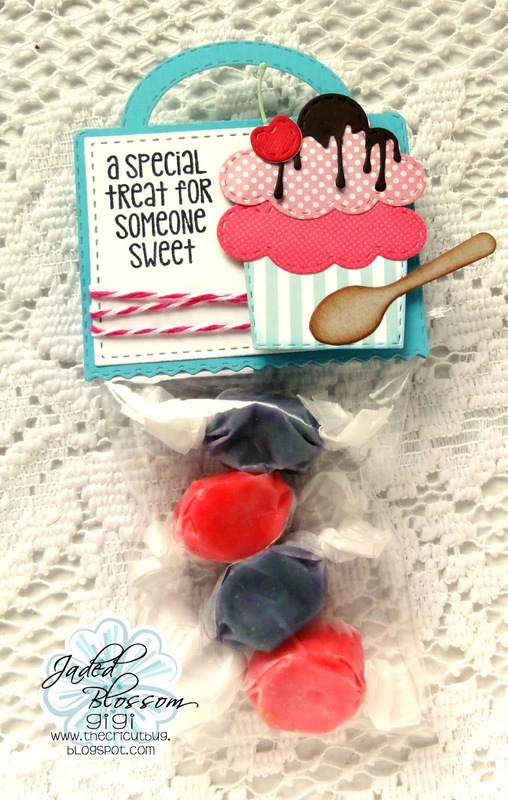 Love your sweet topper!